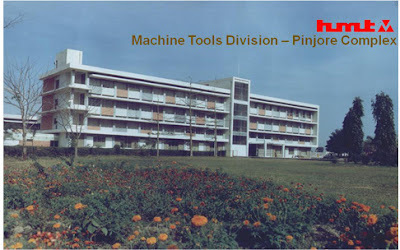 Over five decades after its inception, the massive tractor manufacturing unit of the Hindustan Machine Tools (HMT), a PSU located on the outskirts of Chandigarh, in Pinjore, in Haryana, is likely to shut down its operations. It was the first HMT unit to be established away from its Bengaluru factory way back in 1964. A communique from Union Heavy Industries Minister Anant G Geete to the state government has asked Haryana to take over the entire land of the unit. This would come in lieu of settling dues of voluntary retirement of its employees and for dealing with other outstanding liabilities. The ministry’s response follows a communication by the state government, which had asked the ministry to transfer surplus land of the unit to the state for creation of another industrial estate. Now, in the wake of a different, perhaps, unexpected response from the Centre, the state government is viewing the matter afresh. But the decision to shut down the unit may not be easy, given its political ramifications and the effect it will have on the 1,800 employees. It is also being met with stiff resistance from politicians, including those of the ruling party who are against any such decision to shut down the plant, even as the ministry has said it could consider attractive compensations for the workers, before the unit is shut. 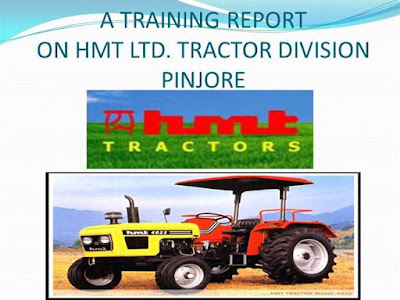 HMT has been in the red for several years now, and from a high production of nearly 19,000 tractors at one time in 1999, the production currently has dropped to about 10 per cent of its optimum high production. HMT fell flat to competition and poor strategies. Around 12 years ago, the Centre had approved Rs 1,083 crore for its revival, but to no avail. The situation was so bad that nearly 1,500 employees were not paid salaries for 14 months until October. 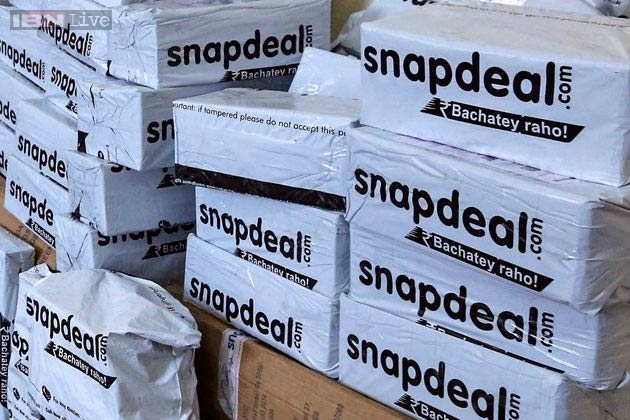 Online marketplace Snapdeal, backed by Japan's SoftBank Group Corp and others, will spend more on logistics and technology to better compete with Flipkart and Amazon's Indian unit, its co-founder said recently. One area Snapdeal will focus on is to cut delivery times by investing in better data analytics and demand forecasting, co-founder Rohit Bansal told the media. "We have done over 10 acquisitions and investments in the last one year, almost all of them in the field of technology or supply chain and payments," he said. "With all these investments we have been able to reduce our delivery times by 70 per cent in the last one year." 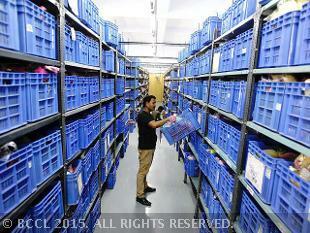 It has also spent around $35 million to buy about 50 per cent stake in logistics services company GoJavas. Reliance Jio Infocomm Ltd (RJIL) has set a target of reaching 100 million users in the first year of its launch, an ambitious one as considering the total 3G subscribers in India is at about 93 million. Moreover, the 3G subscribers were garnered over a period of five years, following the 2010 spectrum auction, even though it took another 2-3 years for a complete rollout. The total 3G penetration stands at just 9 per cent of the total mobile subscriber base of 981 million, according to a recent study by brokerage firm CLSA. “Today, nobody believes Jio will have 100 million customers in our first year. 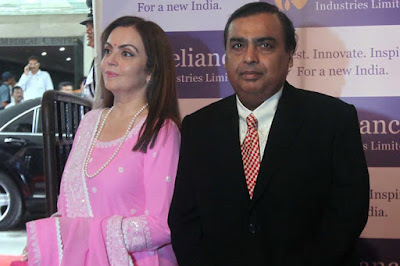 But we will accomplish it because we believe so,” Reliance Industries Ltd (RIL) Chairman and Managing Director Mukesh Ambani said, answering an employee’s question during the launch of the company’s 4G services in Navi Mumbai. 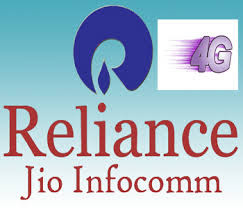 On Sunday, RJIL, a subsidiary of RIL, has launched its 4G and digital services at a gala event attended by nearly 35,000 Reliance Group employees and their families. The event was also like webcast across 1,100 locations simultaneously over RJIL network, enabling a total of 1.5 lakh employees logging on. “With the employee launch, we will bring in lakhs of people on to the Jio network,” Ambani said. 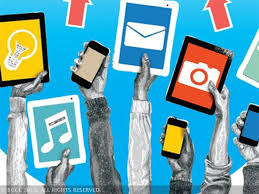 With the launch of the services, RJIL intends to put India among the top 10 countries in terms of internet and mobile broadband penetration in the “next few years”, he said, adding at present, India ranks about 150 among the 230 countries. “Jio is conceived to change this,” he added. Stating that India has the youngest population in the world, Ambani said that RJIL intends to tap the opportunity to transform the lives of 1.3 billion Indians. “The world is at the beginning of a digital revolution. Anything and everything that can go digital is going digital at an exponential rate, faster than what you and I can imagine. Whether it’s entertainment, commerce, healthcare, education, governance, life is going digital,” Ambani said as the reasons for the group’s foray into the digital arena. “Through the ages, information and knowledge have driven humanities’ progress. Life itself has relied on information to progress. Our genetic code, our DNA, the basis of our evolution is nothing but information,” he added. Reliance Jio’s service will include video streaming, music streaming, money payments and video calling. India became the largest remittances receiving country at US$72 billion this year followed by China at US$64 billion, the World Bank said in a report. 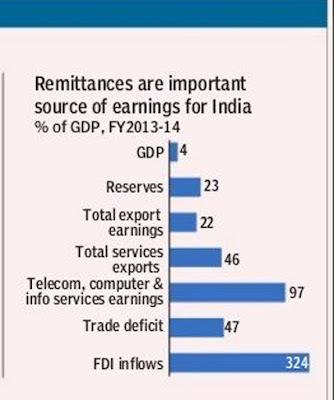 The US emerged as the largest remittance source country with an estimated US$56 billion in outward flows in 2014. "India was the largest remittance receiving country, with an estimated US$72 billion in 2015, followed by China (US$64 billion), and the Philippines (US$30 billion)," the World Bank said in a report. In outward flow, the US was followed by Saudi Arabia (US$37 billion), and Russia (US$33 billion) in 2014, the Bank said in the report. Noting that the number of international migrants is expected to surpass 250 million this year, an all-time high, as people search for economic opportunity, the Migration and Remittances Factbook 2016 said the fast growing developing countries have increasingly become a strong magnet for people from other parts of the developing world. International migrants will send US$601 billion to their families in their home countries this year, with developing countries receiving US$441 billion, the report produced by the World Bank Group's Global Knowledge Partnership on Migration and Development (KNOMAD) initiative said. "At more than three times the size of development aid, international migrants' remittances provide a lifeline for millions of households in developing countries. In addition, migrants hold more than US$500 billion in annual savings," it said. "Together, remittances and migrant savings offer a substantial source of financing for development projects that can improve lives and livelihoods in developing countries," said Dilip Ratha, co-author of the Factbook. The top 10 migrant destination countries are the US, Saudi Arabia, Germany, Russia, the UAE, UK, France, Canada, Spain and Australia. The top 10 migrant source countries are India, Mexico, Russia, China, Bangladesh, Pakistan, the Philippines, Afghanistan, Ukraine, and UK. Mexico-US was the largest migration corridor in the world, accounting for 13 million migrants in 2013. Russia-Ukraine was the second largest, followed by Bangladesh-India, and Ukraine-Russia. "There is ample research to demonstrate that migration, both of highly-skilled and low skilled workers, generates numerous benefits for receiving and sending countries. The diaspora of developing countries and return migration can be a source of capital, trade, investment, knowledge, and technology transfers," said Sonia Plaza, co-author of the Factbook. India, with a projected annual growth rate of 7 per cent, has the potential to be the world's fastest growing economy over the coming decade, surging ahead of its South Asian economic rival China that will continue to see a slowdown, Harvard researchers said in new forecast. "India has the potential to be the fastest growing economy over the coming decade... India tops the global list for predicted annual growth rate for the coming decade, at 7.0 per cent," new growth projections presented by researchers at the Centre for International Development (CID) at Harvard University showed. "This far outpaces projections for its northern neighbour and economic rival, China, which the researchers expect to face a continued slowdown to 4.3 per cent growth annually to 2024, the report said. South Asia and East Africa have the greatest potential for "rapid growth" as oil economies and other commodity-driven economies face the slowest growth outlook, it said. "India has made important gains in productive capabilities, allowing it to diversify its exports into more complex products, including pharmaceuticals, vehicles, even electronics," said Ricardo Hausmann, Professor of the Practice of Economic Development at Harvard Kennedy School and CID director. Hausmann noted these gains in economic complexity have historically translated into higher incomes. 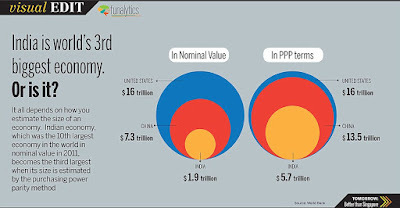 "China has already realised many of these gains, doubling per capita income in less than a decade. We expect that India's recent gains in complexity, coupled with its ability to continue improving it will drive higher incomes, positioning India to lead global economic growth over the coming decade," he said. The CID data predicted that growth in emerging markets will continue to outpace that of advanced economies, though the gap is closing. CID is also bullish on East Africa, with Uganda, Tanzania and Kenya ranking in the top 10, with all predicted to grow at least 5.5 per cent annually. The growth forecast also looks favourably on Southeast Asia, where the Philippines, Malaysia, Indonesia and Vietnam look to drive growth well above global averages. Growth in advanced economies remains slow by comparison, though it has risen slightly in the projections in recent years. The US is expected to grow at 2.8 per cent annually to 2024, with higher growth predicted in the United Kingdom (3.2 per cent) and Spain (3.4 per cent), and slower growth in Italy (1.8 per cent) and Germany (0.35 per cent). 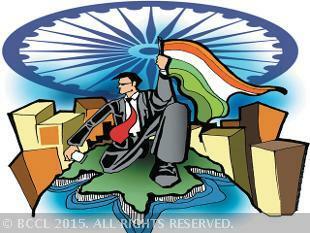 The United Nations has also predicted that India will continue to be the fastest growing economy in the world in 2016 and 2017, projected to grow by 7.3 per cent next year and 7.5 per cent the year after amid a global order that will see persistent macroeconomic uncertainties, diminished trade flows and stagnant investment. 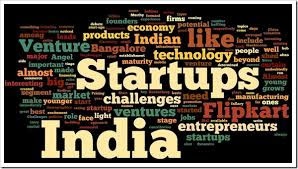 Making it a year of startups, Indian and foreign investors have pumped in a whopping $8.4 billion in new ventures including eCommerce platforms in 2015 through close to 1,000 deals, even as questions have begun to be asked about their hefty valuations. Those opening the purse for Indian startups included industry titans like Ratan Tata and N R Narayana Murthy as also marquee global investors like Alibaba and Softbank. According to data compiled by domestic technology and startup blog trak.in, as many as 936 deals worth over $8.4 billion have been inked this year — up from 304 deals worth $5 billion that took place in 2014. The industry is looking at a promising 2016, though experts and even the investors anticipate correction on the valuation side. The sectors to watch out for include financial technology, healthcare and enterprise technology, among others. Also, the focus might shift a bit away from eCommerce companies towards some new areas, including agriculture. This year, the eCommerce sector, led by e-retailers like Flipkart and Snapdeal, and the taxi-hailing app Ola, dominated the startup investments space. Many of these firms commanded very high valuations, with marquee investors like Softbank and Alibaba, among others, doling out top dollar. “The technology and eCommerce sectors have been in the limelight in 2015, and our country is the fastest-growing startup ecosystem in the world, right now,” Indian Angel Network (IAN) president Padmaja Ruparel said. “Eleven of the 68 ‘unicorns’ globally, (companies that are valued at over $1 billion) are of Indian origin,” she added. However, a debate has begun over the high valuations at which many companies have received funding. Several industry titans, including former Tata group chief Ratan Tata, Infosys founder NR Narayana Murthy and techie-tuned angel investor TV Mohandas Pai, have questioned the high price eCommerce companies are commanding for parting stakes. Tata, who himself has personal investments in more than a dozen startups, took a dig earlier this year at the fledgling sector, saying “valuations” and not “evaluations” are driving the play. 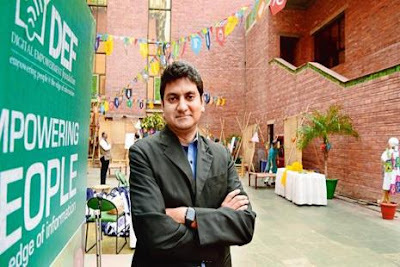 Pai also believes that only about 10 per cent of the startups will succeed over the next few years, and about 25 per cent will stay afloat, while the rest are bound to fail, leading to consolidation. Ruparel pointed out that following the meteoric rise in the first half of 2015, valuations have become more grounded in the second half, and investors are also more keen to find out the business parameters before backing a company. 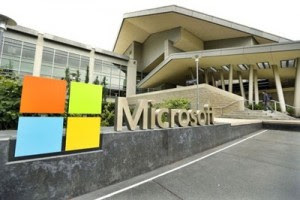 The Andhra Pradesh government today said Microsoft India will be setting up a Centre of Excellence in Visakhapatnam as part of its digital inclusion drive in the state, besides sharpening focus on raising productivity. The technology giant signed an MoU with the Andhra Pradesh government in deployment and use of information and communications technologies to offer better citizen services in the state, an official release said. Andhra Pradesh Chief Minister N Chandrababu Naidu hosted a breakfast meeting for Microsoft CEO Satya Nadella -- who is currently on a visit to Hyderabad -- at his residence today. The meeting lasted for 80 minutes, during which Nadella assured the state government of total cooperation in utilisation of cloud data for improving citizen services. 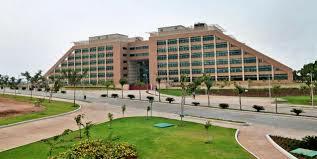 "He (Nadella) has also agreed to set up a Centre for Excellence in Visakhapatnam. He promised to visit Anantapur district during his next visit," the statement said. According to the MoU, the state government will use technical knowledge from Microsoft India, which will support building of up to three proof-of-concept (POC) solutions to apply Microsoft Azure Machine Learning and Advanced Visualisation in education, agriculture and e-citizen services, an official release said. "These POC solutions will be built and deployed to address specific problems within each of the fields to achieve better outcome for the state. It would use the lab method for data gathering, analysis, predictive analysis and policy planning." Reaffirming its commitment to supporting the government's initiatives for cloud adoption and improving citizen services, Microsoft India said it will continue to engage and train the government's key IT executives on Microsoft technologies such as Cloud, Mobility and appropriate Microsoft Technology stack. The company will also deliver an exclusive workshop to the government's key administrative officers on improving productivity by using Microsoft technologies, it added. India's pharma sector is likely to grow over three-fold to hit US$55 billion in the next five years, even as the exports from the sector may slow down to grow at a CAGR of 7.98 per cent owing to stricter regulations in markets such as the US, Russia and Africa, says a report. "Indian pharmaceutical industry is expected to touch US$55 billion by 2020 as against the current size of US$18 billion but the exports may slow down to grow at a CAGR of 7.98 per cent in value terms due to tightening of regulatory mechanism in top exports markets of US, Russia and Africa," a joint report by Assocham and TechSci Research reveals. Consolidation of pharmacy players in North America has resulted in the presence of leading firms that hold better bargaining power, it added. The study report cited instances like the acquisition of the US distributor Celesio by US pharmacy Mckesson's in 2014, and formation of a joint venture between the US wholesale distributor Cardinal Health and CVS Caremark in 2013. 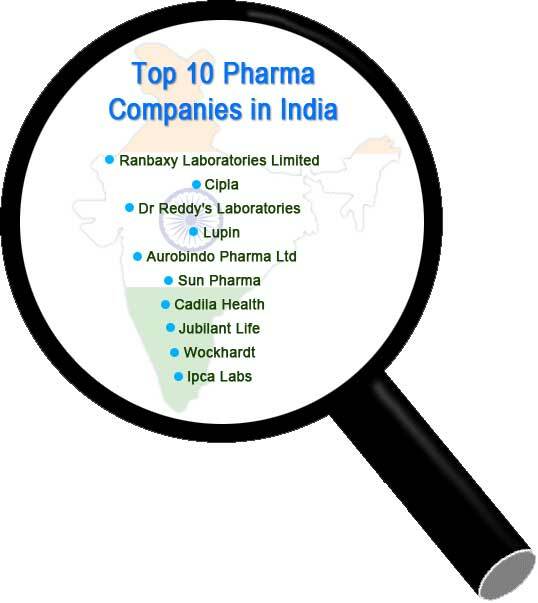 "Consolidation of pharmacy players is leading to an increase in pricing pressures for generic companies existing in the US market, which is expected to result in a decline in the year-on-year growth of pharmaceutical exports from India over the next five years," it added. "A steep decline in currency in emerging markets such Africa, Russia, Ukraine and Venezuela may add to woes of drug manufacturers that supply pharmaceutical drugs to that region and are unable to generate high revenues on account of selling their drugs at a low priced currency," the report said. India is the largest supplier of medicine to the US and pharmaceutical exports from India rose from US $3.44 billion in 2013 to US$3.76 billion in 2014. "Pharmaceutical exports to the US are rising due to the increasing demand for high quality generic drugs in the market. However, the growth rate for exports of pharmaceutical products from India to the US is declining, due to increasing US Food and Drug Administration (FDA) scrutiny on the quality of pharma products coming from drug manufacturing plants located in India. "In order to boost the growth rate of exports to the US, Indian companies will need to leverage their compliance to US FDA regulations," it added. The report further said the exchange rate issue in the country is affecting the pharmaceuticals market in Russia. "For example, Dr. Reddy's pharma revenues in Russia dropped 9 per cent in dollar terms despite a rise of 30 per cent in Rubles. Hence, stabilisation of the currency is of utmost importance in generating revenues through exports," according to the report. 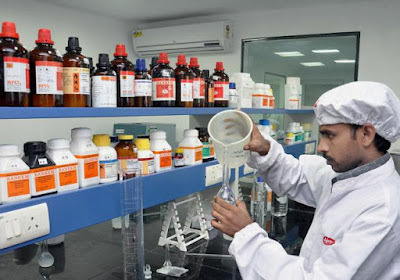 In addition, many Indian companies are operating through the Pharmaceutical Benefits Program (PBP) and hospital tenders, for supplying vital and essential drugs, for which prices are then regulated by the Russian government, it said. Besides, exports of pharmaceutical products to Africa are being affected due to port delays and prolonged custom valuation, testing and certification requirements and the cost of returning consignments to India is huge and registration process for any generic pharmaceutical drug is time consuming, says the report. India's second-largest IT company Infosys would formally inaugurate its campus at Pocharam here in February, Telangana Information Technology Minister K T Rama Rao said to media. Vishal Sikka, CEO of Infosys, today visited the T-Hub, a technological incubator set up here by Telangana government. "(Vishal) Sikka has invited us to inaugurate their largest campus at Pocharam in Hyderabad. We would request Chief Minister K Chandrashekar Rao to unveil the IT policy of the state also at that time," said Rao. The upcoming Pocharam campus of the IT giant would be spread over 447 acre, and built with a total investment of Rs 1,250 crore. The construction would be completed in three phases over a period of ten years, a press release of the company had stated earlier. 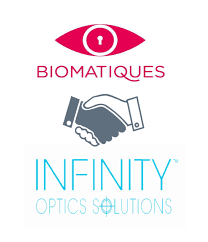 Leading Iris recognition technology company, Biomatiques Identification Solutions, has partnered with Singapore based Infinity Optics Solutions to bring upgraded technology products by March 2016. The tie-up will help to integrate Biometric Extended Depth-of-Field image capture (BEDoF) in the Iris recognition technology for the Indian market, the company said in a statement. "We are partnering with Infinity Optics who are the leaders in the market. It is definitely a benefit for us as it has helped us to upgrade the quality of our lenses which will eventually improve the end-user experience," said Biomatiques CEO Tamaal Roy. The probability of duplication for voice recognition is 1 in 500, facial recognition - 1 in 1,000, fingerprint - 1 in 10,000, Apple touch ID - 1 in 50,000 while, in iris recognition, it is 1 in 15,00,000. Iris recognition uses random textures that are visible in the eye, using the eye to confirm someone's identity. 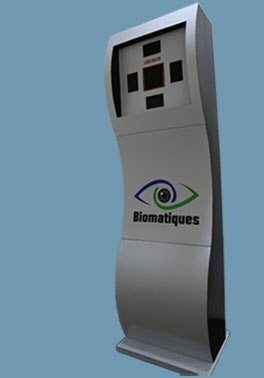 Biomatiques claimed it is the only Indian company to launch its latest range of products which are "ultimate in terms of access and security." 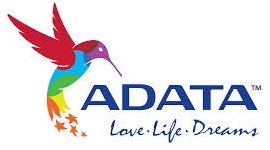 ADATA Technology, a leading manufacturer of high performance DRAM modules and NAND Flash storage application products and accessories, today announced a new partnership with leading IT distributor Compuage Infocom Ltd., pertaining to the complete ADATA power bank portfolio. The move extends ADATA distribution range by adding Compuage as a product provider, offering Bureau of Indian Standards (BIS) certified mobile power banks to customers across India. ADATA and Compuage have been successfully cooperating in the DRAM segment for several years. With the growing demand for power banks and users requiring solutions for smartphones, ADATA has been growing its presence in India with fully-certified power banks and the partnership with Compuage is the latest development in this campaign. Compuage brings to the relationship a wide network of contacts and local partners, as well as a highly motivated and proactive sales team. These will help ADATA products reach new customers in more locations, benefitting ADATA, Compuage and consumers. ADATA and Compuage anticipate rapid sales growth in 2016 as the partnership takes hold and product distribution expands to cover more of the massive Indian mobile accessory market. Chris Chang, MD at ADATA Technology India Pvt Ltd said "As part of our growth strategy and expansion drive for 2016, we have partnered with Compuage Infocom, leveraging excellent reach across India and best business practice implementation to help ADATA gain larger market share in the power bank segment. Our partnership with Compuage in DRAM modules has been very successful for the last couple of years and the addition of power banks will further strengthen our relationship. We believe our BIS certified high capacity power banks can reach every part of India to provide more users total quality, ease of use, and convenience". Bhavesh Mehta, Business Director at Compuage Infocom Ltd said "ADATA's expertise in peripheral memory products for both high end and mainstream PCs, combined with the strong IT-enabled distribution backbone of Compuage, will not only strengthen our brands but will also help expand ADATA reach in additional cities as well as propel growth momentum in India. Compuage is proud to work with ADATA, who have been innovating and demonstrating business and technology foresight". The power bank segment is one of the fastest growing in India, and BIS certification is vital for any product in this dynamic market environment. Customers are assured quality products thanks to strict ADATA production standards and BIS certification. Since BIS certification is mandatory in India for smartphones, batteries, power banks, and adapters, brands are required to pass the certification process and buyers are advised to only purchase certified products to ensure their personal safety and the proper operation of mobile devices. Approved products bear the prestigious and well-known ISI mark, which is synonymous with quality. ADATA and Compuage look forward to further strengthening their relationship in more product ranges. To create better ADATA product awareness among channel partners, ADATA and Compuage have planned several marketing initiatives, including roadshows, partner-site promotions, channel advertisements, and participation in exhibitions and expos scheduled across Indian localities in coming months. 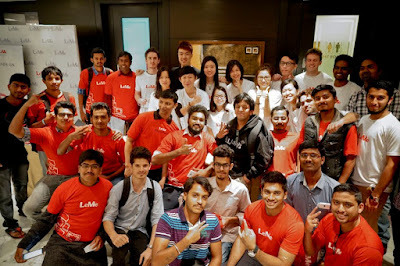 LeTv held its first Le Meetup with its super fans in Bangalore recently. The meet witnessed a full house gathering of LeTV’s #Superfans, bloggers, keen tech enthusiasts and influencers from the city who had an exclusive hands-on experience of LeTV’s products even before sales kicked off in India. Le Meetup has been conceived and deftly implemented as an apt platform to bring its Superfans and blogger community together and listen to them speak and experience Le Future up-close. The enthusiastic participation from #Superfans and bloggers made the event a lively, interactive exchange rather than just a one-way communication. It turned out to be a great opportunity to meet and chat with fellow #SuperFans, bloggers, LeTV staff and take away LeTV super products. The meetup had an exclusive Q&A session and allowed an open dialogue between fans, bloggers, Youtubers, and Le staff. As the closing note, Ivan Wang, Head, Digital Marketing said “ It has been a truly rewarding experience interacting with our fans and followers. We recognize that they are vital and hence we have ensured that our comment response rate is 98% and response time is 3 three minutes. This is a new benchmark in the industry and has been acknowledged by our fans in this very forum. Thank you all for the overwhelming response, your feedback matters and we will very closely consider them. Bangalore rocks ! he concluded. LeTV shared its focus for India as a key market, which along with the US is part of its expansion plan. 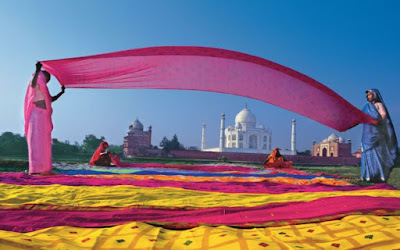 It also said the company intends to match the product launches in India with that of global launches. It revealed that there is a preview event on Jan 5 where the company will make more confirmed announcements on its big launch date. 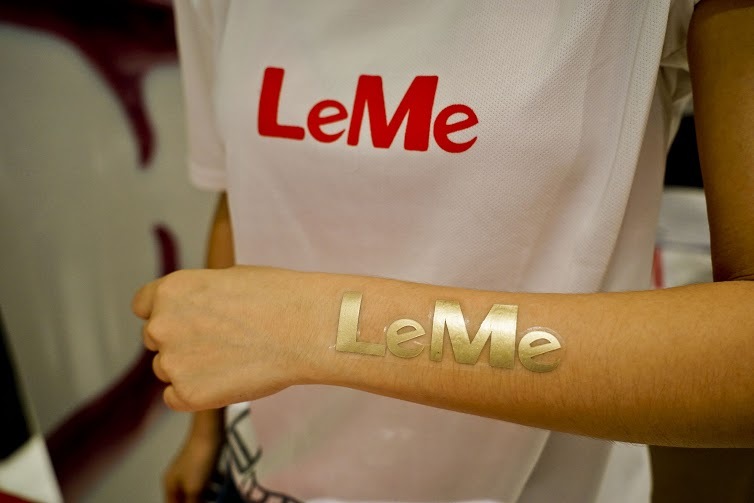 Le Meetups will be held in multiple cities the next one will be held in Delhi on Dec 30 and January 9 followed by one in Hyderabad. India could become the world’s third largest economy after 2030 and its ascension could see France and Italy kicked out of the exclusive G8 group or its membership increased to 10 to accommodate India and Brazil, according to a new study. 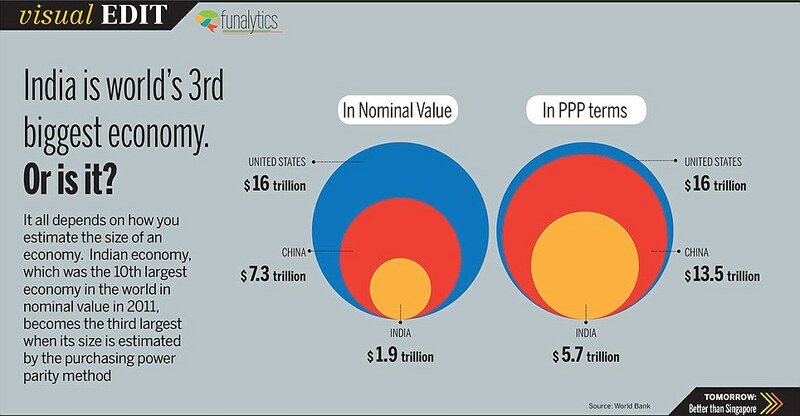 India’s projected GDP in 2030 was US$10,133 billion, behind America’s US$32,996 billion and China at the top with a projected GDP of $34,338 billion. Europe’s third and fourth largest economies will be replaced by India and Brazil in the G8 over the next 15 years, the report says. The CEBR said France’s “dire” economic prospects will see it fall from the world’s 5th to 9th largest economy by 2030. Italy — currently 8th in the global league table — is also going through tough times. Europe’s largest economy, Germany, will maintain its position in the world’s leading economies as its declining population receives a welcome boost of a 1.5 million refugees and migrants, according to the analysis. Business services companies Cognizant Technology Solutions, NTT Data and Atos SE are competing to acquire Perot Systems, an IT management business of Dell, according to people familiar with the matter. Dell is hoping Perot Systems will fetch more than $5 billion, helping it trim its debt load following its agreement to acquire data storage company EMC for $66 billion, including debt, the people said this week. The merger with EMC is scheduled to close by October 2016, subject to approval by EMC shareholders. The auction for Perot Systems, however, has taken longer than expected because the offers Dell has received thus far have failed to meet its valuation expectations, the people said. Dell is now reconsidering which contracts it will pass on to Perot Systems to boost the sale process, one of the people added. The sources asked not to be identified because the negotiations are confidential. Dell, Cognizant, Japan-based NTT and Atos, of France, did not immediately respond to requests for comment. Perot Systems is major provider of IT consulting to hospitals and government departments. Founded in 1988 by former US presidential candidate Ross Perot, it was acquired by Dell in 2009 for $3.9 billion. While that deal helped Dell diversify beyond its core personal computer business, the company is now focused on making inroads in cloud computing, business software and data management -- a key driver of its deal to acquire EMC. Dell has also been speaking to private equity firms about selling Quest Software, which helps with information technology management, as well as SonicWall, an e-mail encryption and data security provider. Together, these assets could be worth around $4 billion. Last week, Dell registered SecureWorks, its cybersecurity unit, with the US Securities and Exchange Commission for an IPO. Dell has said its goal will be to reduce its debt load in the first 18 to 24 months of its merger with EMC to achieve an investment-grade rating. Dell will have $49.5 billion in debt under current plans to finance the deal. Taxi aggregator Ola has launched a new ‘Share’ feature on its app that will allow its users in the city to share rides, making their travel cheaper. The carpooling feature, which is still in the beta phase and will be rolled out to select users in Bengaluru, will be made available across 5 cities over the next three months. 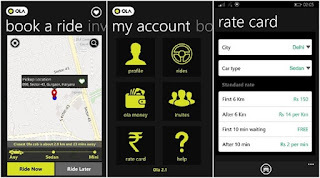 The service will be available for an introductory flat fare of Rs 50, Ola said in a statement. “Ola has introduced the concept of social groups on its app. With groups, colleagues from a workplace and friends from a college can come together to share rides amongst themselves. “A user can join multiple groups or simply choose to share a ride with anyone. As soon as a user requests a ‘Share’ ride on the Ola app, they will be matched with other users from their groups along their way,” it added. 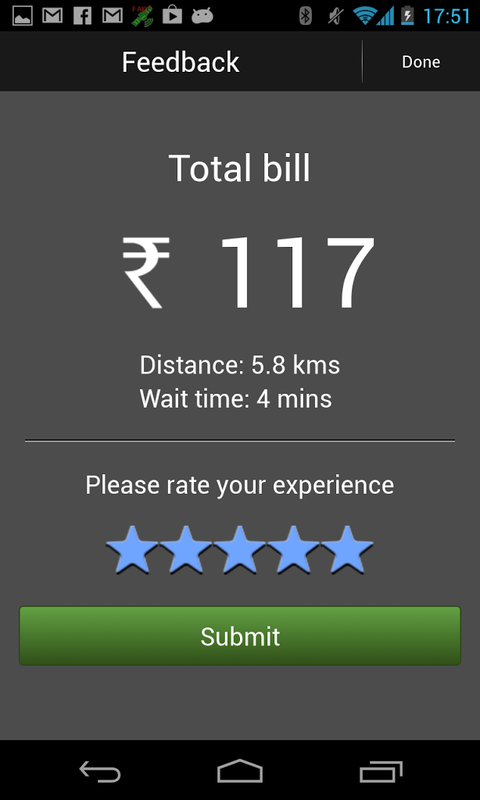 Ola said most vehicles see only 33 per cent utilisation of capacities. “With ‘Share’, we not only bring economy, convenience and comfort of travelling with people in your circles, but also increased inventory utilisation of vehicles on the platform. “This will also contribute towards significant reduction of traffic, congestion and pollution in our cities,” Ola Share Head Ishan Gupta said. Ola Share is a major step in the direction of sustainable transportation, allowing Ola to serve more people at a fraction of the cost, with driver-partners benefiting from increased revenue, he added. A maximum of three people can share a cab together via Ola Share. Driver-partners get an option to log into the Share platform, getting instant access to increased revenue of up to 50 per cent, through continuous fulfilment of booking requests, it said. A user can join multiple groups or simply choose to share a ride with anyone. Last month, Uber had announced the launch of UberPool, its carpooling service in India. 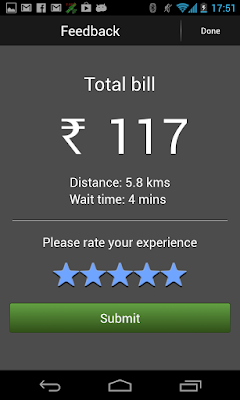 The service is available in beta in Bengaluru. Avaya, a global leader in business communications software, systems and services, highlighted today its commitment to India’s digital transformation goals through the Avaya University Outreach Programme, a series of initiatives with leading educational institutes in Pune. More than 70 graduating engineers today attended the first elective course at the Cummins College of Engineering for Women, one of four colleges with which Avaya is collaborating on the programme. The Avaya curriculum is a one-semester elective course, developed by Avaya in collaboration with the Colleges of Engineering. The course covers key trends in emerging technologies and telecommunication, including digital and IP telephony, VoIP protocols, unified communications and contact center applications and provides new engineers with the skills to develop their careers and further India’s digital transformation efforts. Avaya plans to make the course available to other educational institutions and colleges in Pune and across the nation. India is driving digital transformation efforts to boost economic growth and provide access to digital services, knowledge and information for all citizens. Avaya is working with four colleges in Pune - to help develop training in key technologies and help deliver the skilled workforce India requires. The Avaya University Outreach Programme consists of four key elements--- Avaya curriculum, Technology exchange program for Faculty, Avaya Champs and Technology enablement for students. India is at the heart of Avaya’s innovation focus and represents the company’s largest R&D center globally, spread across Pune, Bangalore and Hyderabad, providing more than 30% of product & solution development globally. 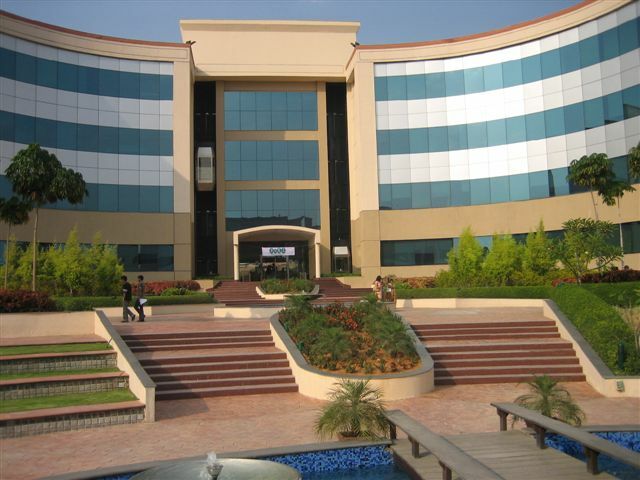 Avaya’s India R&D centers comprise talented engineers, researchers and product management staff, with more than 2,200 employees along with a state-of-the-art research and engineering lab and infrastructure with Data Networking and Unified Communications being the primary focus areas. 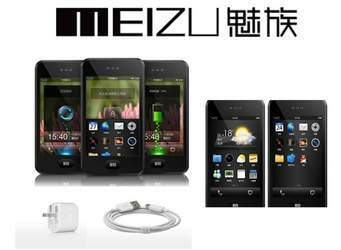 Here is a Chance to Win a Meizu m2 Smart Phone? Meizu Technology (MEIZU) has announced the launch of its #MerrywithMeizu online contests for its Indian fans on Facebook & Twitter. To bring the festivity alive, Meizu has organized three different contests, one for each day, starting from, 21st December. Yesterday, it was create your own Christmas tree contest and today, Meizu fans can win two Meizu m2’s and 12 goodie bags by sharing two good deeds which they might have done in 2015. 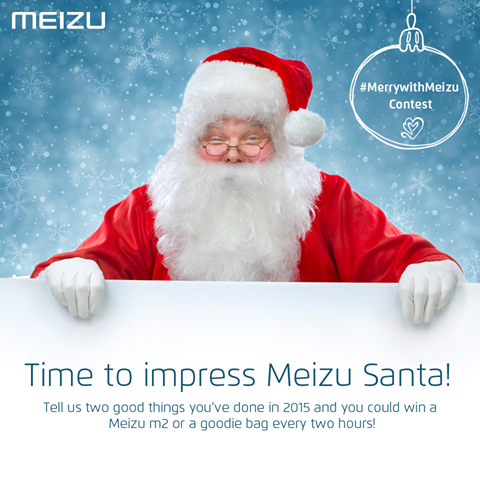 You can share your complete story on Meizu India Facebook and Twitter page with #MerrywithMeizu. Contest is valid only for today, Tuesday, December, 22, 2015. Meizu m2 has been acknowledged and appreciated as one of the most budget friendly smartphones of 2015. 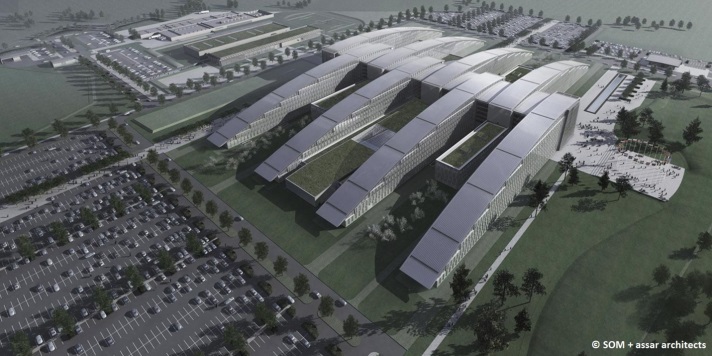 A changing world dynamic has caused an increasing need for NATO to have best-in-class business communication solutions for its new Brussels, Belgium headquarters that are both easy to use and always connected. Building on a relationship that has lasted more than six years, Polycom (Nasdaq: PLCM) announced this week that it has been selected by NATO to be the primary unified communications provider of the organisation’s Active Network Infrastructure (ANWI) project within its extensive high-tech new headquarters located in Brussels, Belgium. As part of NATO’s “new ways of working” business capability designed to modernise virtual collaboration across multiple networks, the Polycom RealPresence Platform will represent the first hybrid Video Collaboration (VTC), Voice and Data deployment by NATO. This implementation will extend NATO’s reach to employees, military commands and deployed units, taking this far beyond the traditional and capability to secure collaborative communications no matter what the condition or location is. Polycom will play an important role in the ANWI project, building a viable UC&C service that can be widely used across the NATO organisation to support decision making, collaboration and coordination. In addition to the RealPresence Platform solution being deployed throughout NATO’s networks, Polycom will also equip the facility with 2,500 of its industry-leading Polycom VVX business media voice end points for use with Skype For Business. This new infrastructure and operations is all about return on investment, saving resources, expanding applications and maintaining advantages for NATO. While the initial deployment at NATO’s new headquarters will be focused on generalised services, the Polycom RealPresence Platform offers the scalability to increase to a more comprehensive UCC infrastructure that will help power the organisation’s “new ways of working” approach.